I was fortunate enough to photograph another Nandos restaurant for Aria Architects, Oak Park, IL this time in London. Although they are globally ubiquitous they still manage to come up with a different design at each location. Megan Walsh the project architectural designer gives some background. ‘Nando’s is a South African concept. 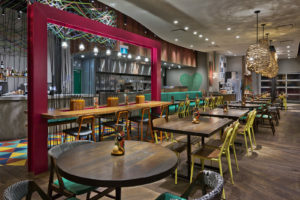 Each of their restaurants is unique – but each has the feel of a Nando’s, by integrating the fun and unique culture that is their brand. 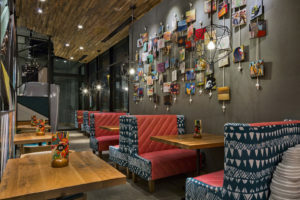 The Design of a Nando’s must tell the story of the brand and reflect a forward thinking South African aesthetic, complementing the food and stirring the emotions of the customer. 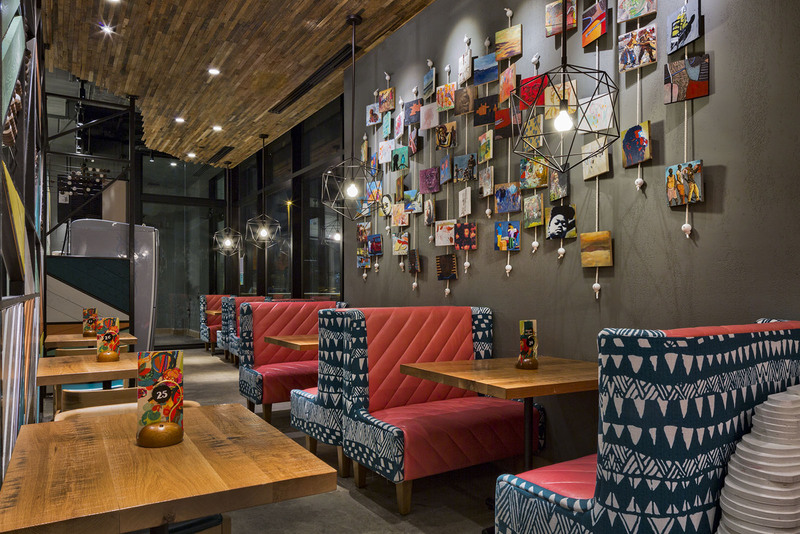 Real and natural materials, and authentic art enhance the space in conjunction with unique elements of fun and quirkiness. 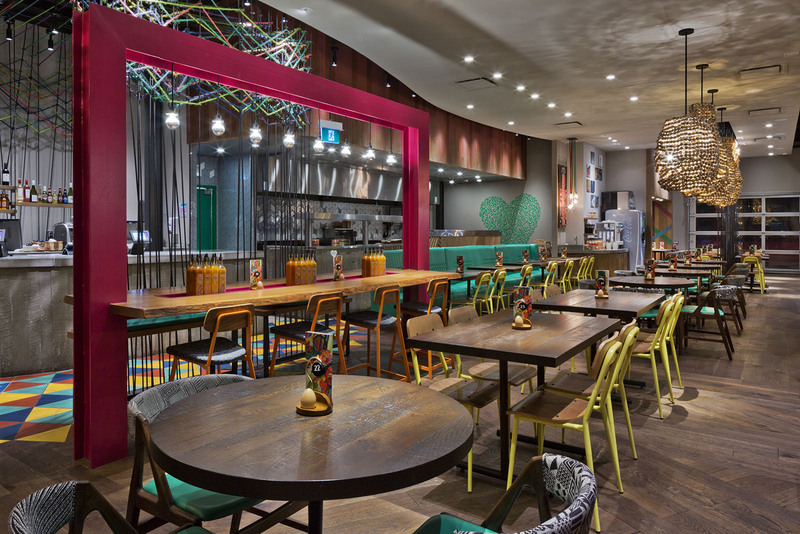 The design is informal and soulful, with a hand-crafted and an artisan look. 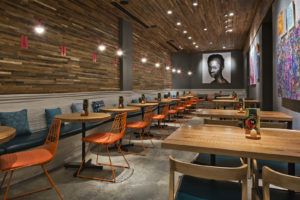 All of this combines to create a vibe that helps people connect to each other – letting them be relaxed or be energized by the space!’.